Joshua Smith (1905-1995) studied art at the East Sydney Technical College and Julian Ashton School. During the Second World War he worked in the army on camouflage along with William Dobell and other artists. 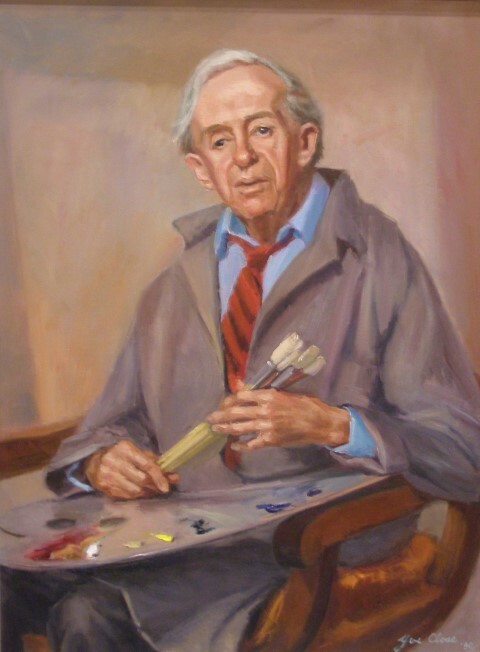 Dobell won the Archibald Prize in 1943 with a portrait of Joshua Smith. This became controversial when two artists challenged the award in court, claiming the work was a caricature rather than a portrait. The following year, Joshua Smith won the Archibald Prize with a portrait of The Honourable J. S. Rosevear, Speaker of the House of Representatives. Joshua Smith was an active member of the Drummoyne Art Society and his portrait by Yve Close hangs in the City of Canada Bay Council Chambers. Yve also wrote his biography, Joshua Smith, artist which is available for loan from City of Canada Bay libraries. This year is the fiftieth anniversary of the Drummoyne Art Society and the occasion will be marked with special exhibitions at Five Dock Library, 1-20 July, Drummoyne Civic Hall, Marlborough Street, Drummoyne, 5-13 July and Concord Library, 22 July-3 August. Golden Crust Bakery which operated in the first half of last century was quite literally a family business. It was operated by Walter and Mary Johnson at the rear of their home on Parkview Road, Russell Lea. The Johnsons had six boys and three girls to help with baking and delivering the bread. 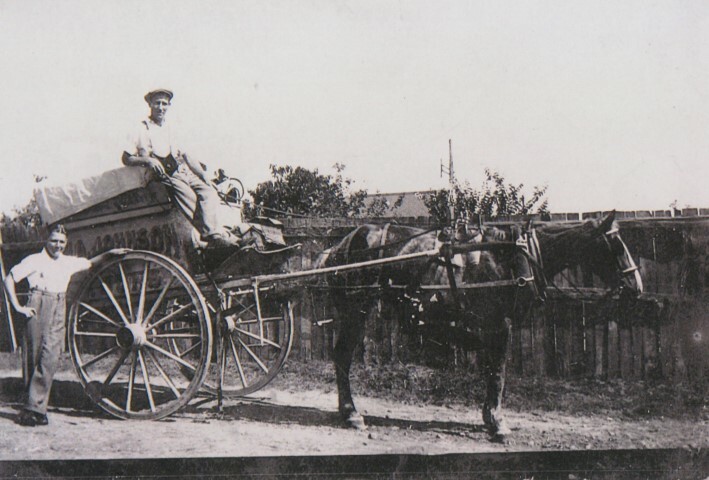 A wonderful series of photographs show the change in transport methods from horse drawn to motor vehicles. One of their competitors would have been E. S. Percival Limited of Concord which was established by James Tinch in 1883 and passed through various hands before being purchased by Percival in 1917. Brass bands were a popular form of music within the community during the nineteenth century and reached the height of popularity in the period between the First and Second world wars. Community bands were an important feature of community life and performed regularly at local parks and civic occasions. While annual State and National competitions allowed bands to display their skills to a broader audience. The Concord Citizens’ Band was founded about 1921 and gave regular performances in Cabarita Park. In 1928 when the photograph (above) was taken, Concord were the winners in the ‘C’ Grade Championship of Australia. 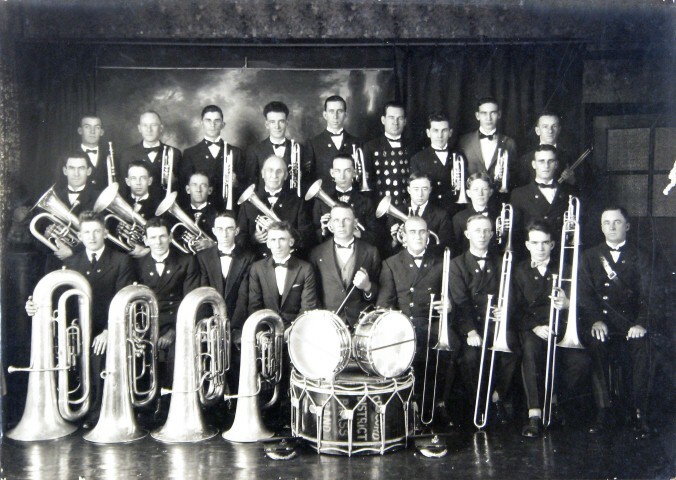 In 1933 there were some 26 members in the band with instruments and fine uniforms. There was another brass band at Five Dock.